“Night on the Eve of Evan Kapula,” Henryk Siemiradzki c. 1880, WikiArt photo. 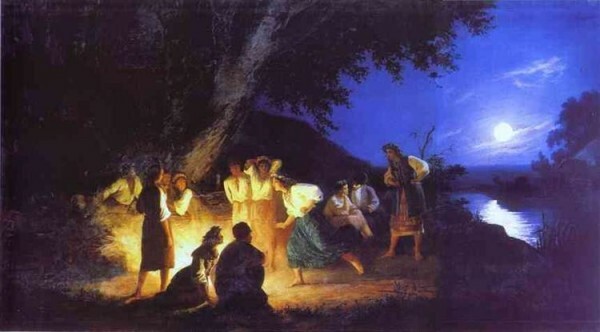 And lyre, nights by firelight resting. Sick and infirm followed in steady caravans. Dance and song in name of blesséd Bona Dea. 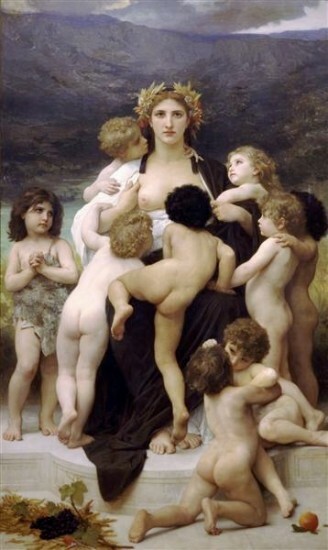 “The Motherland,” William-Adolphe Bouguereau, 1883, WikiArt photo.